Music festival Bacardi NH7 Weekender 2016 came to a close with 60,000 attendees visiting the brand new venue Life Republic in Marunji, Hinjewadi over three days. The festival which is now in its seventh year drew massive crowds for performances by over 50 artists including legendary music producer DJ Premier, Swedish indie folk singer Jose Gonzalez, indie-electronic champion RAC (DJ Set), Indian/American prog metal band Skyharbor, global rock music proponent Steven Wilson, alt-rock trio The Joy Formidable, Canadian singer-songwriter Patrick Watson, English post-punk band Eagulls, India’s biggest bass producer Nucleya, global fusion music pioneer Karsh Kale, globally acclaimed artist Anoushka Shankar, singer and composer Shankar Mahadevan, North-East’s favourite singer-composer Papon, Mumbai-based Indian blues band Kanchan Daniel & The Beards, live electronica project Nicholson, electronic music artist Dualist Inquiry and Madras/Bangalore-based Dance/Punk band The F16s. The incredible music combined with dazzling visuals at all five stages gave the fans a festival experience to remember. 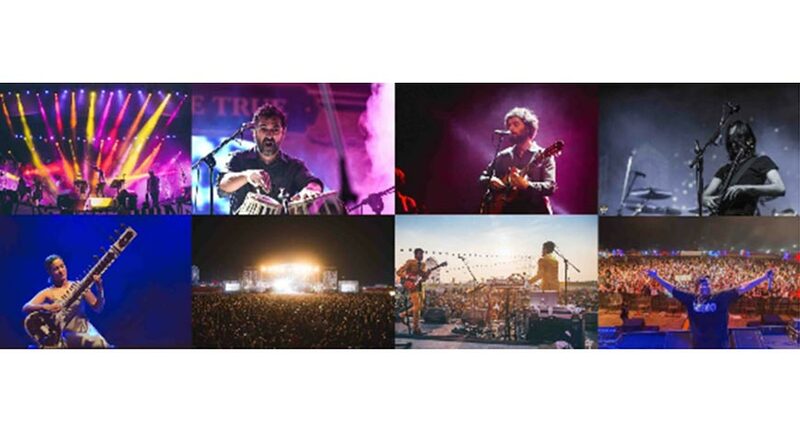 This year, over 140 artists played at the Bacardi NH7 Weekender’s three main editions – Shillong, Hyderabad and Pune as well as the five Express editions - Kolkata, Puducherry, Mysore, Nagpur and Jaipur reaching more music lovers than ever before. A unique theme-based travelling exhibit, The NH7 Periphery Art Project was part of the festival in Shillong, Hyderabad and Pune this year. The NH7 Periphery Art Project represented Bacardi NH7 Weekender’s collaboration with Bombay Duck Designs to engage and encourage artists to showcase their unique artworks at the festival. With an aim to become a minimal waste festival over the next three years, Bacardi NH7 Weekender implemented responsible waste management by promoting waste segregation and proper disposal of waste. Recyclable materials will now be sent to recycling plants and the food waste will be composted. To create a culture of safety and responsibility, the festival strung together three fun and informative instructional videos that can be used by any festival. These open-source videos are scripted by one of India’s biggest comedy collective All India Backchod and stars popular comedians Rohan Joshi, Kaneez Surka, Varun Thakur, Naveen Richard and singer-songwriter Mali. The festival made sure there were plenty of food options to choose from for fans. From fresh cold-pressed juices, to shawarmas, add one or two more, this was a foodies dream. The Bazaar at Bacardi NH7 Weekender showcased an assortment of creative products with everything from intricately crafted jewelry, quirky t-shirts and giftables, dreamcatchers, official artist and festival merchandise to a dedicated thrift shop!